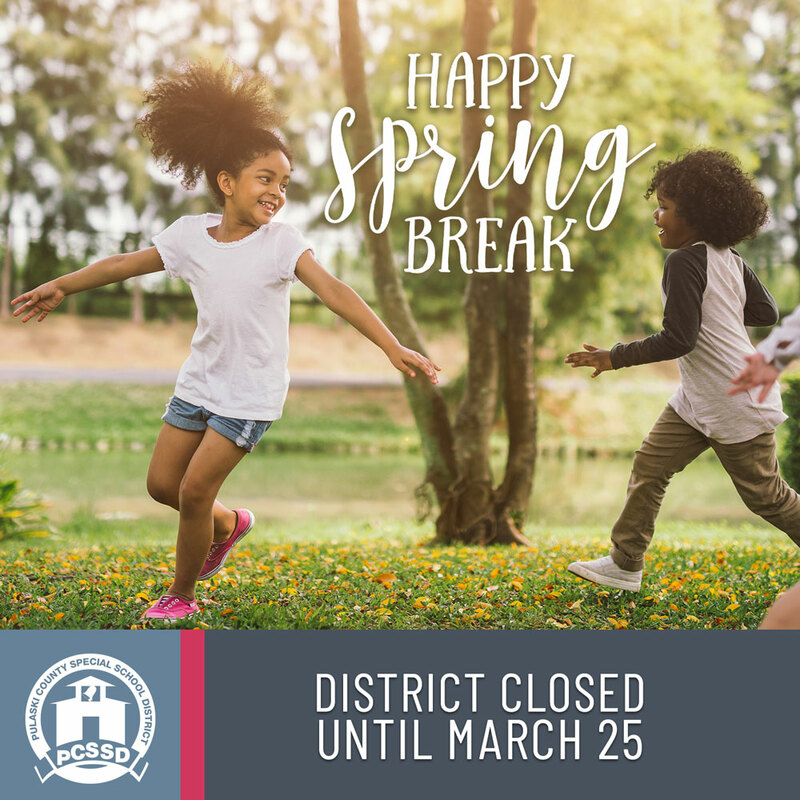 All Pulaski County Special School District schools and offices will be closed Monday, March 18, through Friday, March 22. We hope that our students, teachers and staff enjoy their time off and have a fun, relaxing break! Please note: we will be unable to process transcript requests during this time.